Author Liz Pichon is something of a superstar in the world of children’s books. More than three million copies of her bestselling Tom Gates series have sold in the UK alone, with all the books being no 1 bestsellers and all translated into more than 50 languages. 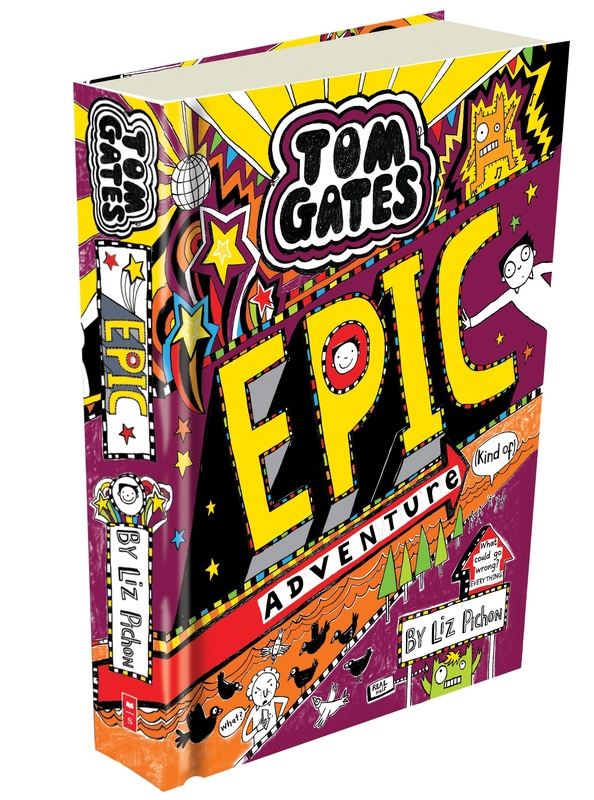 Her latest Tom Gates book, Epic Adventure (kind of) is out TODAY and to celebrate mum-of-three Liz, 54, is bringing her Tom Gates Brilliant Bands and Doodle Tour to Southend later this month. But being an author is the last thing that Liz, who is dyslexic, ever thought she would be. Just how have her struggles with dyslexia impacted on her life, I wonder? “I think the biggest thing it affected was my confidence, especially when I was younger,” she explains. “You feel like you’re not very good at lots of things, but art was my saviour. At least I could draw despite art being treated at school like an ‘add on’ subject to the really important things. “I never felt confident enough to even consider writing my own stories until I began to illustrate other peoples. When I first began to do events with my picture books I’d get SO nervous reading out loud too. It was something I hated doing at school, I just had to get over it and keep trying. What would she say to young fans of her books who struggle with dyslexia themselves, I ask? 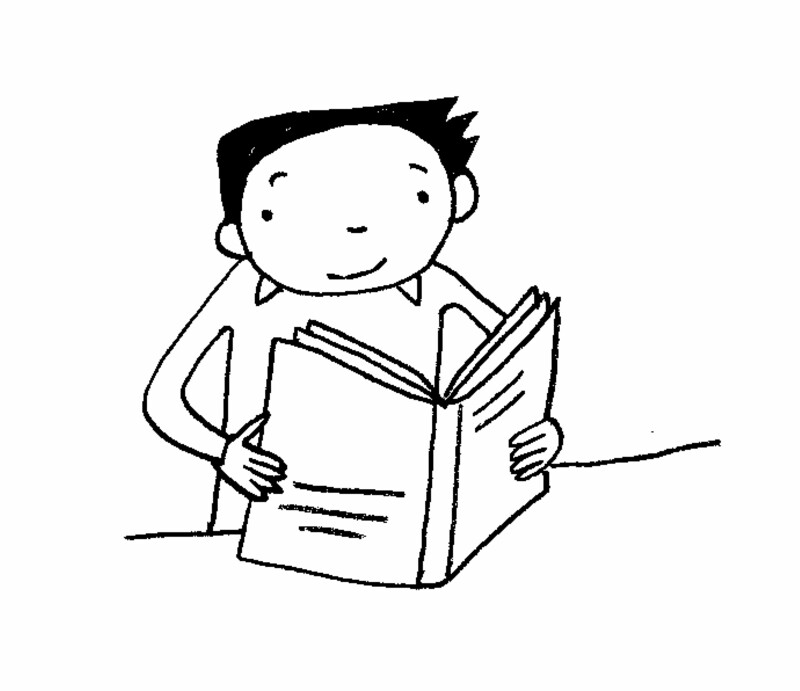 “Don’t give up – find something to read that YOU enjoy and keep reading and writing as much as possible. The more you do – the better things get. How difficult does she find coming up with new ideas for Tom Gates? “With every book – I do have a slight panic before I start and think what if I don’t have any ideas,” she confesses. “Then once I start, the ideas always come. I also collect ideas all the time from everywhere. Listening to the radio, conversations on the train, magazines my own family too. Her Tom Gates books are an irresistible combination of hand-written rants, funny stories and dynamic cartoons. But what is her favourite bit of her books? “I make story maps when I’m plotting the books out at the beginning,” she reflects. Liz was the official 2017 World Book Day illustrator. It has also recently been announced that the series has been optioned for TV! But what is she most proud of? “Getting a book deal was a HUGELY exciting for me,” she reveals. “Then the panic set in as I’d never written more than 12 double page spreads for picture books before. “When the first book came out I was very happy, as I actually saw it in book shops which hadn’t always happened before. But winning The Roald Dahl Funny Prize was pretty special. In today’s world of iPads and apps, does she think it’s more difficult than ever to get children to read? “I think children will always want to have the physical book to read, they just need to find something they enjoy,” she muses. “You can’t sign an iPad either. Children books are selling more than ever in the UK. What can youngsters expect from the Tom Gates tour, when it comes to the Palace Theatre on Wednesday, October 25? “So many things!” she exclaims. “Firstly, bring a pen and paper, as I will be showing everyone how to draw like Tom. I’ll also be wearing spectacular doodled on shoes while DUDE3 the band will be playing songs from the books and getting everyone to sing along as well. What does she think will be her favourite bit of the tour? “Meeting everyone after the show – it’s the best,” she enthuses. Has she ever done a tour like this before? “We did a small tour last year and we did Camp Bestival on the main stage which was awesome,” she smiles! “We were setting up at the same time as the crew from Brian Wilson – Pet Sounds (old people will know who he is – Beach Boys). 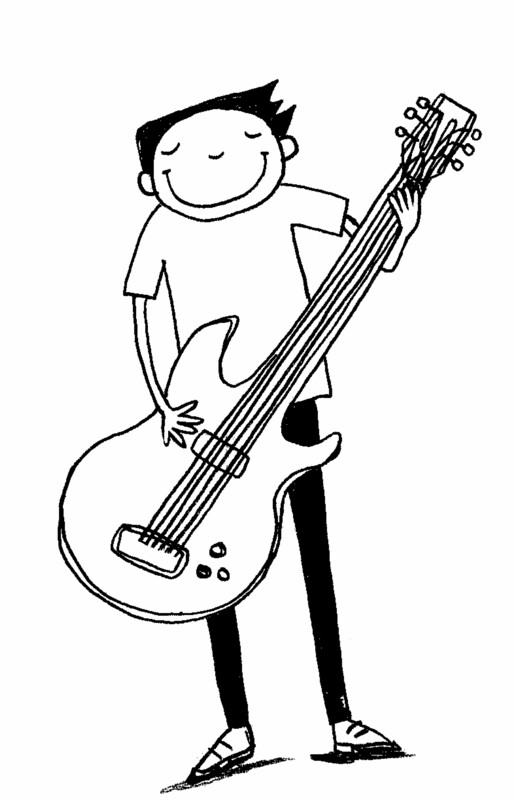 “It was so much fun to draw, hear the band bring the songs to life from the books and generally have a great time meeting everyone. I can’t wait now. With nine Tom Gates bestsellers under her belt – not counting the new one out – and having written and illustrated many other books including My Big Brother Boris and the Very Ugly Bug, does she ever see herself stopping Tom Gates books? “That’s up to the readers really,” she says. “If they stop buying and reading them I won’t have a choice! “You never know what’s round the corner in publishing or what might be the next favourite book. As long as I keep getting ideas and I’m enjoying writing and drawing them I’ll keep doing them for the next few years for sure. “I also have so many other things to do with Tom, some stuff can’t talk about yet as it’s top secret. 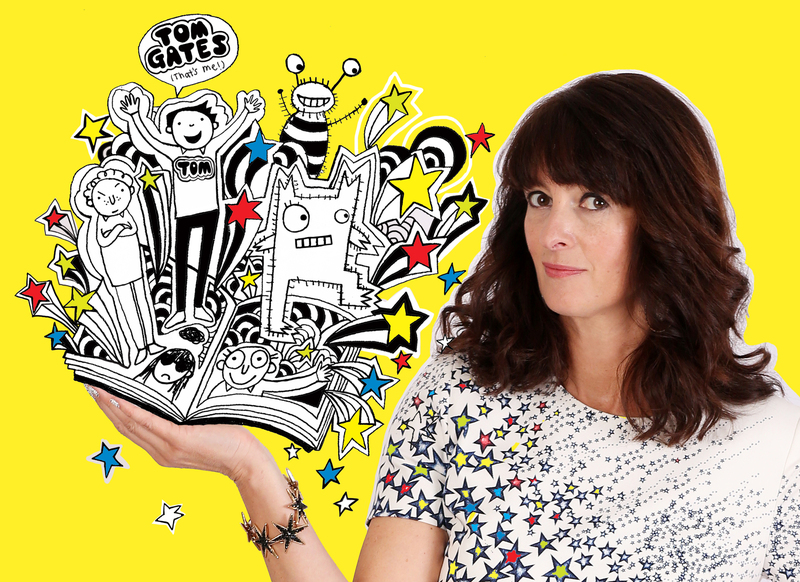 Liz Pichon And The Tom Gates Brilliant Bands and Doodle Live Tour is at the Palace Theatre, London Road, Westcliff on Wednesday, October 25 at 12pm. For tickets, call the box office on 01702 351135. Competition closes at 11.59pm on Thursday, October 26 2017. Open to UK residents only. The editor’s decision is final.